Dr Andrew Brooks AM is the department head of urology, Westmead and Blacktown hospitals. Westmead Hospital clinicians Dr Andrew Brooks AM and Professor David Harris AM have been awarded the Member of the Order of Australia on Australia Day for their outstanding achievements. Dr Brooks was recognised for his significant service to medicine and medical education in the fields of urology and oncology. He has been associated with Western Sydney Local Health District and has been the department head of Westmead and Blacktown hospitals’ urology department since the mid-1990s. Dr Brooks is an Associate Professor of Surgery with the Westmead Clinical School and director of private healthcare providers. He currently has affiliations with the Macquarie University Hospital as a specialist in robotic surgery and is the chair of the NSW Agency for Clinical Innovations urology network. He also chairs the NSW Cancer Institute and is integral to the Urological Society of Australia and New Zealand (WSANZ) and the Royal Australasian College of Surgeons. “I’ve been fortunate to have had the opportunity to develop a wide range of professional activities,” Dr Brooks. “I am grateful to the college, the Neurological Society and the NSW Cancer Institute for the opportunity in educational development and urological cancer management. Professor David Harris has worked at Westmead Hospital since 1988 as a clinical nephrologist. Westmead Hospital’s clinical nephrologist Professor David Harris AM. He was recognised on Australia Day for his service to nephrology, education and to professional societies. Professor Harris has been the director of dialysis and nephrology for the Western Renal Service since 1993 as well as the Westmead Institute for Medical Research, Centre for Transplantation and the director of the Renal Failure Laboratory. He has held prominent positions as the Professor of Medicine, Associate Dean and head of the Discipline of Medicine at the University of Sydney and the Westmead Medical School since 1995. Professor Harris has been President of the International Society of Nephrology since 2017 and has held numerous senior roles in the Australian and New Zealand, Asia-Pacific Societies of Nephrology since 1997. 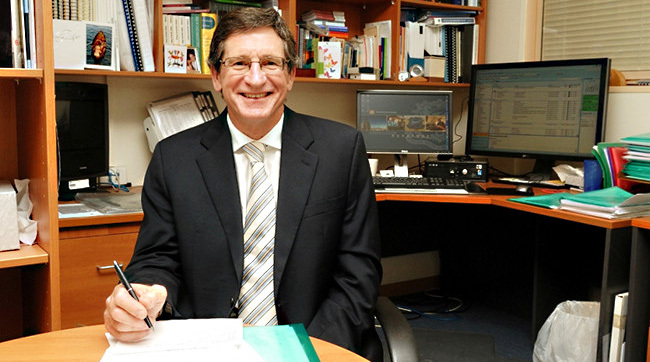 He has published 11 medical books and more than 300 peer-reviewed paper and is a multi-award winner of other prestigious medical awards with leadership positions with Kidney Health Australia, the Australasian Kidney Trials Network and has chaired Westmead Hospital’s Medical Staff Council. “It’s such a privilege to receive this recognition and it means a lot to me as it’s indirectly from my colleagues,” Professor Harris said. “These achievements are only possible with the support of your leaders and your colleagues. “I’ve worked at Westmead Hospital for more than 30 years and I still wake up every morning looking forward to coming to work.